India as a country continues to suffer from a staggering figure in TB cases, with two deaths reported every three minutes, and most recently bearing the highest number of such cases in the world. In a new study by the Revised National TB Control Programme (RNTCP), more alarming fact has been thrown at us; considering now that almost 9% of all pediatric tuberculosis patients are resistant to rifampicin. (as confirmed by a report in the Times of India). The project details further confirmed that 8% of the 22,000 suspected pediatric TB cases (0-14 years) not only just tested positive, but were also found resistant to one of the finest drug to treat the disease. This is 6% more than what was previously estimated, a study covering four metros, including Chennai, Hyderabad, Kolkata and Delhi. Further considering the break-up in these 4 metros, Delhi has the highest percentage of TB suffering children (12.2%) followed by Chennai which has the least number of reported cases. Kolkata has the highest TB resistance rate at 12%. Also, the resistance was highest among the children between 5-9 yrs of age, then between 10-14 yrs old, and least amongst children less than 5 years old. As quoted by the Times of India, “The result of the survey came as a surprise,” said Dr Amar Shah, National consultant for HIV/TB for RNTCP. Estimates so far have showed that the prevalence of multi-drug resistance (MDR) in new TB cases, of which children comprise a large portion, is between 2% to 3%. “Our survey showed a staggering 9%, which is quite high. It’s surprising because many of them haven’t been exposed to antibiotics before, which means they are acquiring the infection in the MDR form at the time of transmission,” he said. Diagnosis of TB in children is complicated as the bacteria, Mycobacterium tuberculosis,can mimic many other common childhood diseases, including pneumonia, general bacterial and viral infections and respiratory infections. 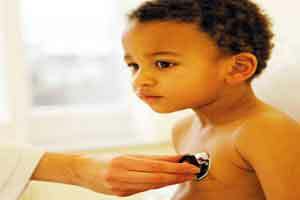 “Children also find it hard to cough up the sputum for the samples. They tend to swallow instead,” said Dr K Sachdeva, Additional Deputy Director General, Central TB division. “So accuracy in the traditional tests is often ambiguous,” he said.